A yard sale find prompted this latest excursion into bicycling history. Ralph Watterson, a regular rider in our Sunday morning bicycling group, showed up for last Sunday’s ride with a framed greeting-card-sized print of an 1890s cyclist named John S. Johnson. Ralph had bought the print at a yard sale on Saturday. Ralph owns Old Home Supply, a business in the historic Fort Worth neighborhood of Fairmount. Ralph’s business, in a building that once housed a Piggly Wiggly grocery, salvages fixtures and fittings from demolished buidings and sells them to people restoring old homes on Fort Worth’s Near South Side. He’s always on the lookout for unique vintage stuff for his store. Frequently during our Sunday morning bike rides he’ll stop at a yard sale, buy some items and arrange to pick them up later in his van. 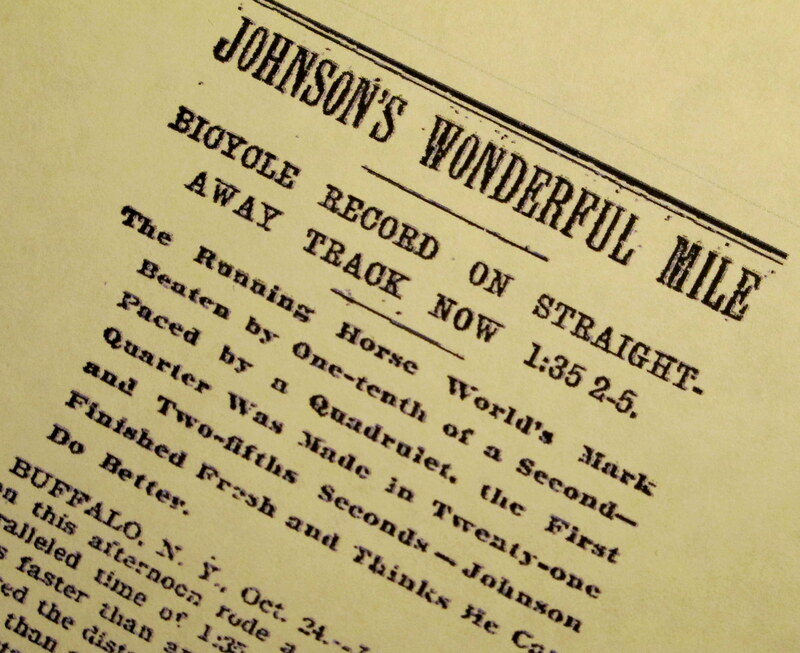 The only printed information on his print of John S. Johnson indicated that Johnson broke a record by riding a bicycle one mile in 1 minute, 47 3/4 seconds. I was intrigued by the print. I snapped the above photo with my iPhone and did a bit of research on the life and career of John S. Johnson. The brief Wikipedia entry on Johnson — apparently the Lance Armstrong of his day — says that he was the first cyclist to ride a mile in less than 2 minutes. He accomplished the feat in 1892 at a racing track in Independence, Iowa, turning in a time of 1:56.6. 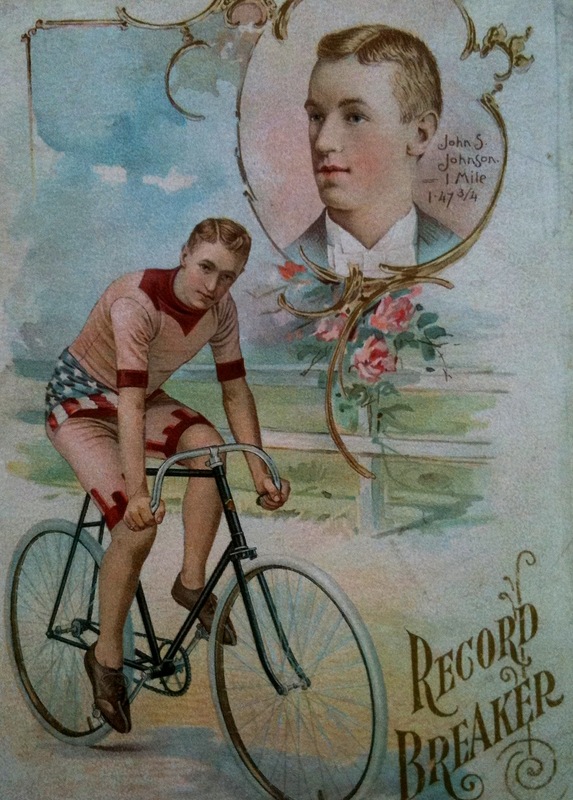 Throughout his career in the golden age of American bicycling Johnson bettered that time, as indicated by Ralph’s print. Johnson was born May 11, 1873, into a family of Swedish ancestry, and he lived in Minneapolis. He became known to a national audience during the first International Championship bicycling meet held in 1893 at the Chicago world’s fair, the Columbian Exposition. The United States won the event with a total of seven medals, with Johson taking a silver and a bronze. He was outdone only by a renowned sprinter, Arthur Augustus Zimmerman, who won two golds medals. Later in his career, Johnson rode for racing teams sponsored by the bicycle manufacturers E.C. Stearns Bicycle Agency of Syracuse, N.Y., and Schwinn Bicycle Co. of Chicago. Stearns’ most popular model was a yellow bike called the “Yellow Fellow,” said to be “the lightest and most durable wheel” of its day. Johnson was also a champion speed skater. He was inducted into the Speed Skaters Hall of Fame in Keams, Utah, in 1960 and into the U.S. Bicycling Hall of Fame in Davis, Calif., in 2003.
okay, small-worldville! I’m a friend of Ralph Watterson’s – I’ve joined him and gang on their 6 Rivers ride the last few years… my father was born in Independence, Iowa, and I’ve skated the oval in Kearns, Utah!! 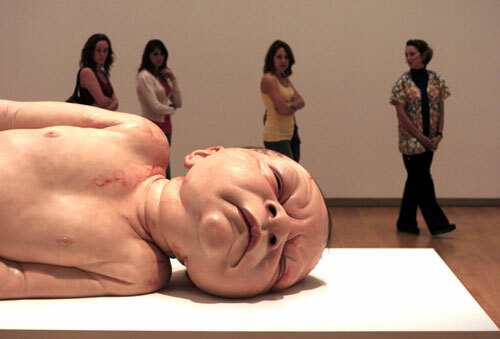 Okay, really small world. I’m president of the Buchanan County Historical Society in Independence, Iowa and very familiar with the Rush Park race track. Independence was known in the 1890’s as the “Lexington of the North” because of the horse track.